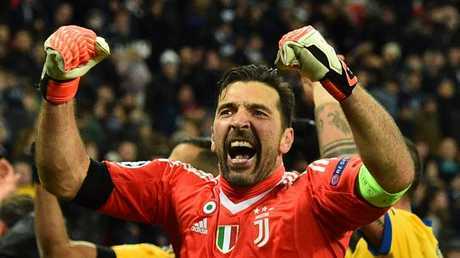 JUVENTUS staged a stunning fightback against Tottenham to reach the Champions League quarter-finals 4-3 on aggregate after Paulo Dybala sealed a dramatic 2-1 win in the last 16, second leg on Wednesday. Massimiliano Allegri's side were on the brink of elimination after Son Heung-Min's first-half strike put Tottenham ahead at Wembley. Mauricio Pochettino's men had put Real Madrid, Liverpool, Manchester United and Arsenal to the sword at Wembley this season, producing eye-catching displays that their manager claimed had earned them the respect of Europe's superpowers. But Tottenham's frustrating tradition of hitting a high note before receiving a painful reality check returned to haunt them in the most painful fashion. Tottenham's Harry Kane walks off the pitch dejected. Instead, Juventus turned Pochettino's evening into a nightmare. 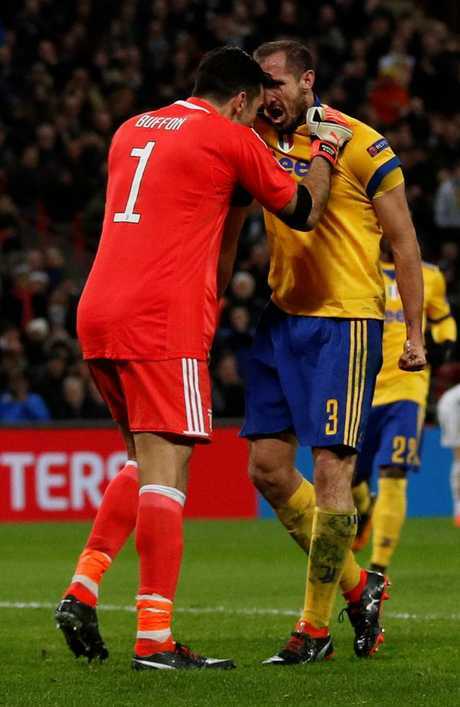 Tottenham were in control early on and Harry Kane tricked two Juventus defenders with a muscular turn before feeding Son, whose low strike was repelled by Gianluigi Buffon. But when Vertonghen's challenge sent the Juventus winger crashing to the turf, referee Szymon Marciniak controversially waved play on. Still seething over that decision, Juventus were ragged at the back when Son forced Buffon to palm out his header from Kieran Trippier's cross. He didn't have to wait long for the ultimate revenge as Son put Tottenham ahead in the 39th minute. The South Korea forward has a knack of scoring at Wembley, but few will have been more fortuitous than his 14th goal at Tottenham's temporary home. Higuain's pass dissected Tottenham's poorly-executed offside trap and Dybala ran through to drill a cool finish past Hugh Lloris. Tottenham laid siege to the Juventus goal in the final stages, but the visitors defended heroically and rode their luck when Kane's header hit a post before being scooped off the line by Barzagli. 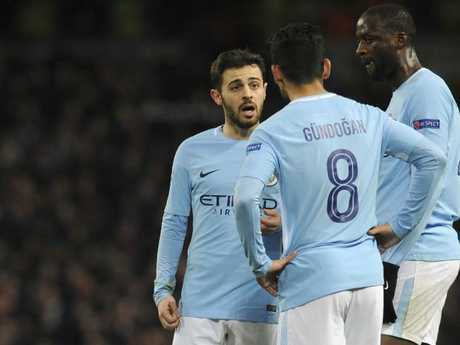 Elsewhere, Manchester City lost 2-1 to Basel for its first home defeat in 15 months but still advanced to the quarterfinals of the Champions League on Wednesday. Still, the loss - only City's fourth in all competitions this season - came as a surprise, particularly after Brazil striker Gabriel Jesus put the home side ahead in the eighth minute on his first start in 2018. Mohamed Elyounoussi equalized in the 17th, and wing back Michael Lang earned Basel its latest victory over a Premier League giant by smashing a rising shot inside the near post through goalkeeper Claudio Bravo's attempted save in the 71st. 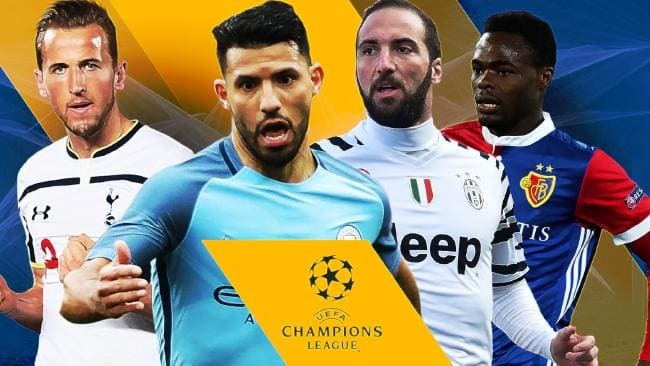 City's progress took the number of English teams in the quarterfinals to two, after Liverpool advanced on Tuesday.